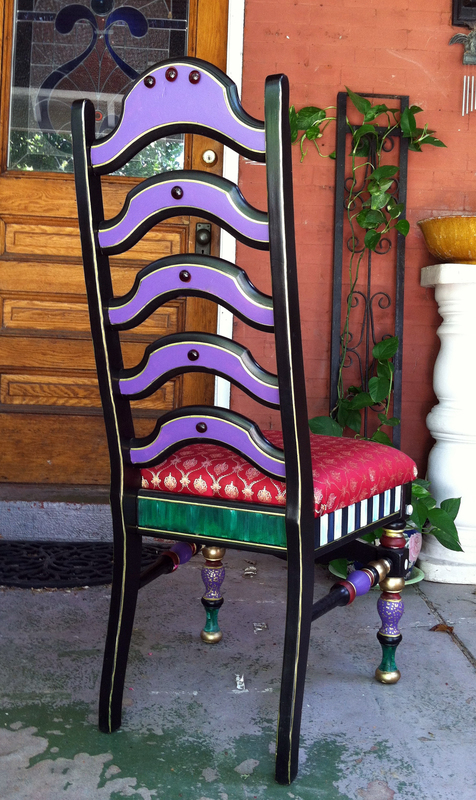 I’ve been a fan of the fun Mackenzie-Childs designs for years, so I decided to work my magic on the three chairs, MC style. 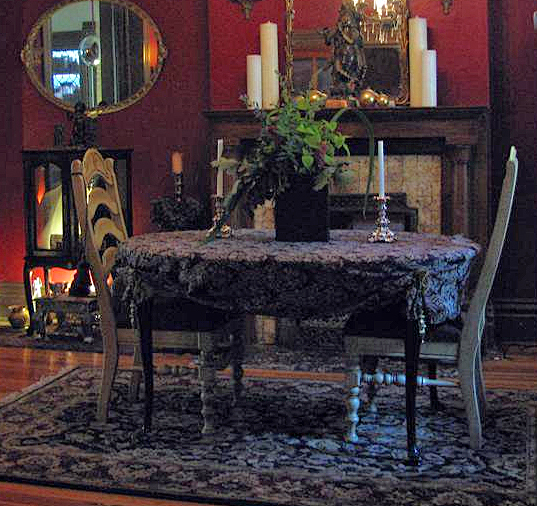 I started by removing and recovering the seats in a lovely silk sari fabric I bought at Joann Fabrics (with a 40% off coupon, of course ;-)). 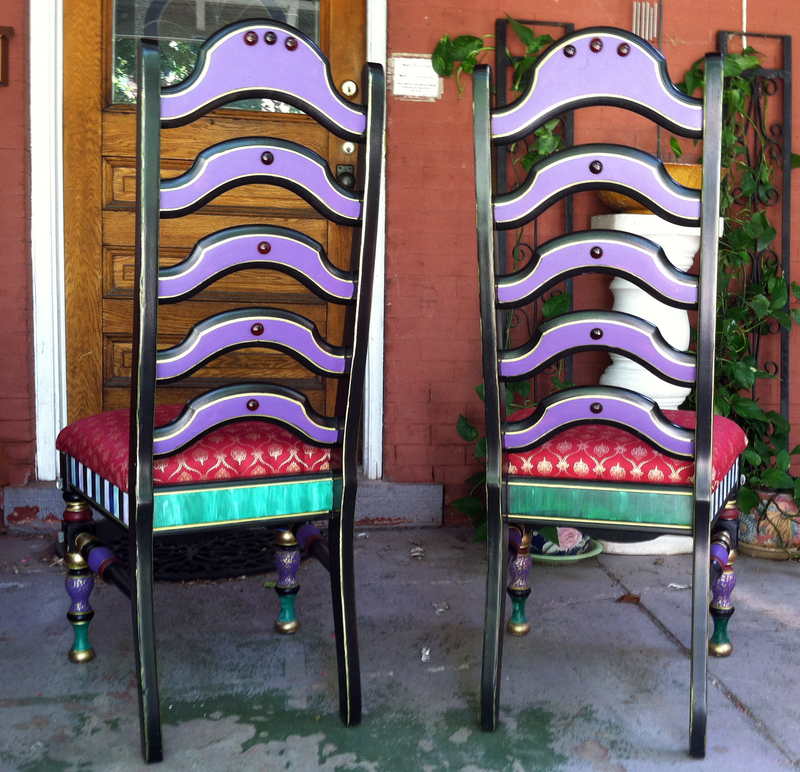 Then I sanded the chairs and painted them a solid black with acrylic paint, 2 coats. I decided on my acrylic paint colors (purple, forest green, red and gold) and patterns (black and white “dirty” stripes and mottled green and polka dots) and got to work measuring and taping off for the white stripes and color-blocked sections using blue painter’s tape. When the painted sections were dry, I used gold paint pens to edge each of the sections and draw the gold dots. 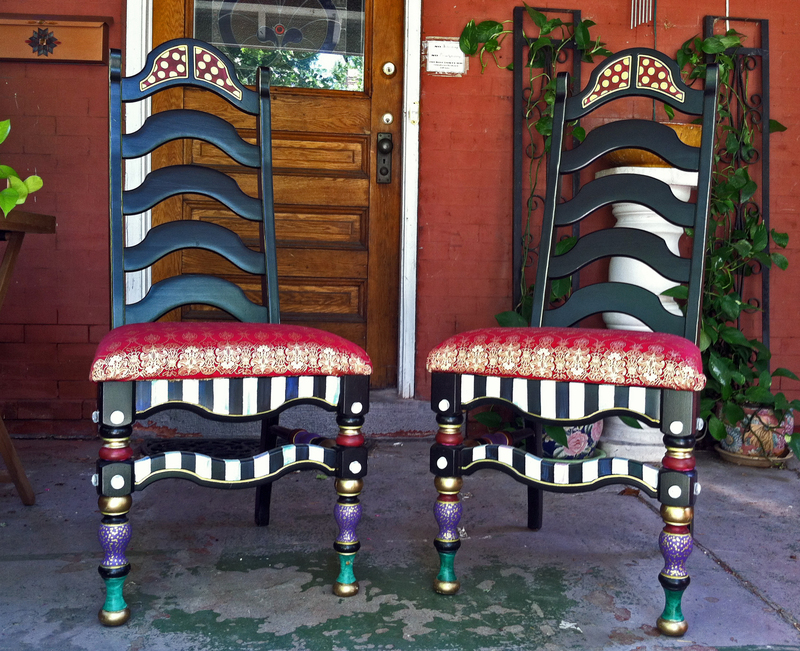 The final touch was gluing round glass gem pieces (over painted dots) on the legs and backs of the chairs for some added dimension. I was able to complete all three chairs in one evening, and as usual, it was almost free, as I used all supplies I had on hand except the fabric which was about $12. 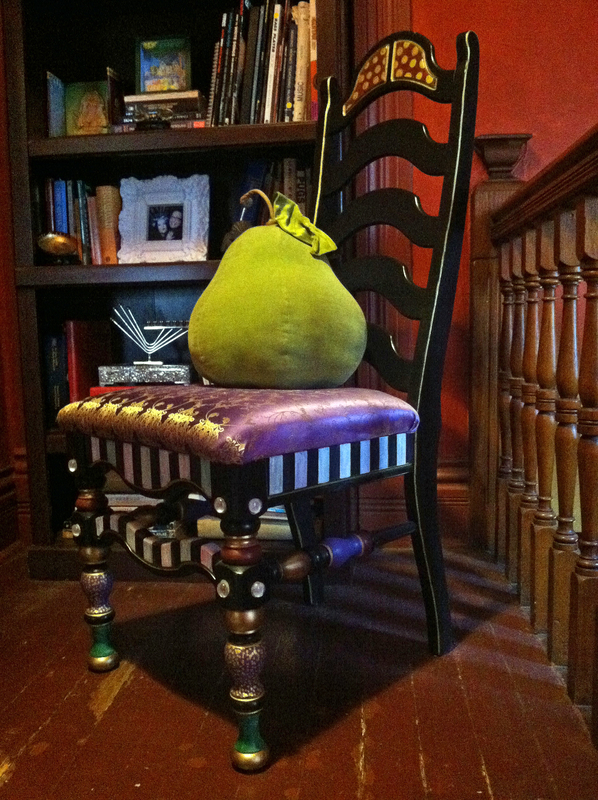 Here’s the 3rd chair, done with purple fabric, on the upstairs landing. 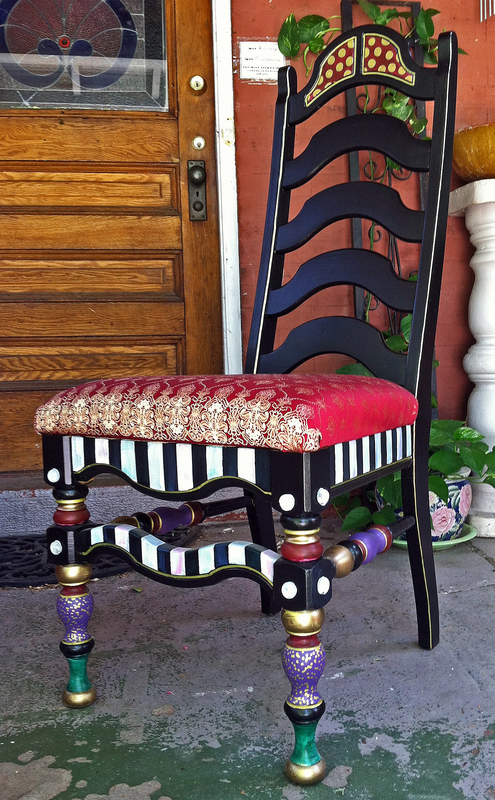 This entry was posted in art, decorating, home, lifestyle and tagged art, bargain hunting, best for less, budget, chair make-over, chair redo, chairs, decor, decorating, DIY, fine living, lifestyle, Mackenzie-Childs, painted chairs, redecorating, redo, repainted chairs, restyle, restyled chairs, sari fabric, saving, style, unique chairs. Bookmark the permalink.